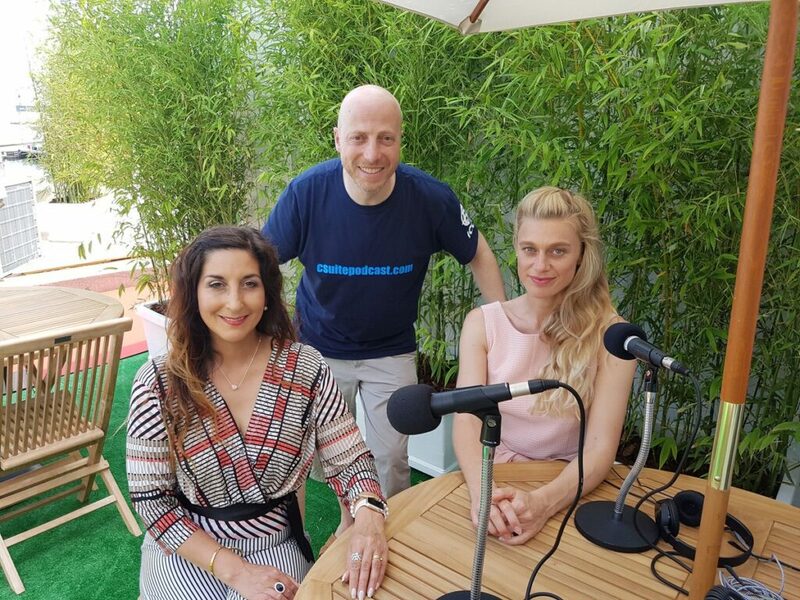 I’ve taken the csuite podcast to Cannes Lions since 2016 and in that time have had the pleasure of chatting to 49 of the most inspiring speakers, judges and award winners who were at the event. My guests have come to the festival from as far and wide as South America and India to Canada and Australia and have included agency leaders, brand owners, a social roboticist, a music producer, a spoken word artist and a body architect, with their ages ranging from Young Lions Award winners to an 86-year-old terminally-ill patient. But what’s been consistent in all those interviews is that every single guest has had a fascinating story to tell … in their own words. And therein lies the power of podcasting. With no cameras filming the guests, coupled with the fact that we’re not broadcasting live, and perhaps thanks to the odd glass of rosé too, each interviewee immediately relaxes, resulting in an informal chat that allows them to be themselves, delivering authentic and engaging stories, whilst educating and hopefully entertaining the listeners at the same time. Global podcast listenership has exploded since my first trip to Cannes. Podcasts are easy to access and subscribe to on a mobile device and there are topic areas for everyone. People listen in the car, in the gym, on the commute, out walking or running, as well as at home or at their desks of course. And with radio stations now podcasting their programming, or creating exclusive content as a podcast, plus popular celebrities hosting their own shows too, podcasting is forming an increasing part of our daily media diet. This has opened up a huge potential for brands to be using podcasts as a credible medium and so this year I’ll be presenting at Cannes myself alongside Zuleika Burnett, Executive Director, Creative and Innovation, Havas Life Medicom. We’ll be looking at how the most difficult narratives can be harnessed to deliver healthcare stories as podcasts and how brands can rise above the noise of the other 500,000+ active podcasts to reach their audiences.